Apex is Australia's online destination for commercial furniture, hospitality furniture and catering equipment. We provide our customers with stylish furniture for the hospitality, cafe, restaurant, bar, club, corporate and hotel industries. Here at Apex Commercial Furniture we are proud to present you with high quality designer commercial furniture that not only looks good, but also of solid construction and made of high quality materials that is guaranteed to last, thus minimising the need to constantly replace the furniture in your commercial establishment. Be inspired by our exceptional commercial furniture that is unrivalled in quality, authenticity, style and creativity. Apex showcases more than 10, 000+ commercial furniture products from top Australian and international brands which customers can browse, buy online and have delivered anywhere in Australia. We deliver to all capital cities and all regional areas including Sydney, Melbourne, Brisbane, Gold Coast, Perth, Adelaide, Canberra, Hobart and Darwin. Sydney, Melbourne, Brisbane, Perth, Adelaide, Metro areas. Great company. Wide range of commercial quality furniture and equipment for the hospitality industry. Everything for your cafe, restaurant, hotel, bar, pub... Great customer service: friendly staff and fast delivery. Thank you for your review. We're glad to hear you had a great experience with us. Write a review for Apex Commercial Furniture! Do you know Apex Commercial Furniture? Share your experience - write a review! 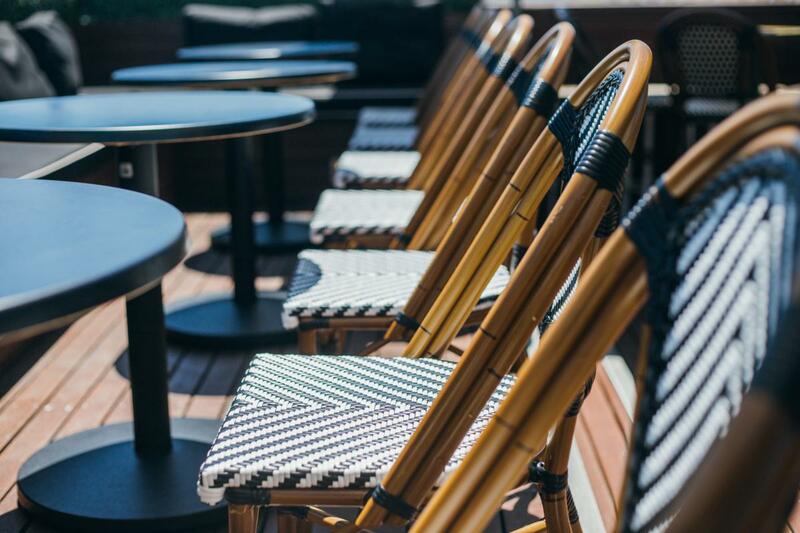 Cafe Table and Chairs https://www.apex.com.au/furniture/tables/cafe-tables.html Wholesale cafe tables and commercial quality restaurant tables Apex has numerous restaurant tables and chairs for sale to our commercial customers.